Ground will be broken next week on the new Kentucky Career Center location on the 1300 block of Madison Avenue, where the former Robke Chevrolet once operated a block south of the Cathedral Basilica of the Assumption. Kentucky Governor Steve Beshear is expected to attend. In a high profile deal announced in July, the City of Covington exchanged the former Stewart Iron Works Building for the Robke site and approved plans to lease a new space there to the Commonwealth of Kentucky and the Northern Kentucky Area Development District. The Stewart Iron Works building is now owned by Corporex and will house the Life Learning Center. The Kentucky Career Center currently operates at the northeast corner of Fourth and Garrard Streets. The deal has been a steady point of consternation between City Commissioner Mildred Rains and others in city leadership. Rains has questioned the legality of the deal. Preliminary work has already begun on the Robke site and the Life Learning Center is expected to move to Stewart Iron Works in May. 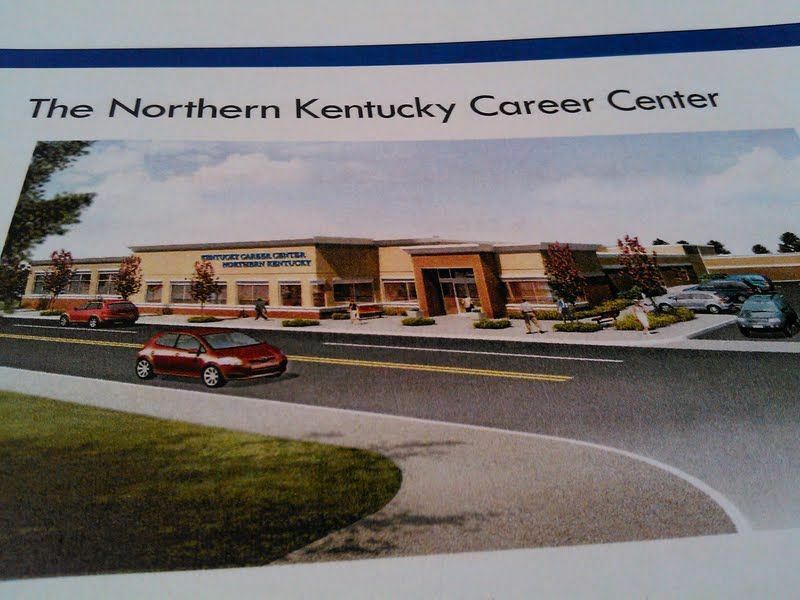 The groundbreaking at Robke for the Kentucky Career Center is scheduled for Wednesday, December 11, at 1:15. The governor will speak along with former Mayor Chuck Scheper (representing the Catalytic Development Fund, a key player in negotiating the deal), Education & Workforce Development Secretary Thomas Zawacki, NKADD Executive Director Lisa Cooper, and City Commissioner Steve Frank. The total cost of the development is $4.8 million. Covington will purchase the fully renovated building. 25,583 square feet of space on one level will be occupied by the Career Center which will also have parking for 103 vehicles. The NKADD will also lease from the City and will then sub-lease space to Brighton Center, Goodwill, the Transit Authority of Northern Kentucky (TANK), and a yet to be determined partner. Sixty-six employees will work at the Career Center.